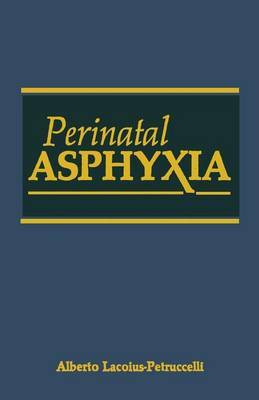 The aim of this book is to transmit the message that asphyxia is the major cause of infant mortality in the ne- asphyxia-if severe, caus- onatal period. The sequelae of ing cerebral palsy; if mild, leading to MBD to seizures- are all potential risks. It is important to make young physicians and nurses aware of this complication of the birth period, how to avoid it, and how to treat it. Facilitating such awareness is the chief purpose of this book. Alberto Lacoius-Petruccelli New York 7 Contents 1. Asphyxia: Definitions, History, and Incidence . . . . . . . . . . . . . . . . . . . . . . . . . . . . . . . . 11 2. Occurrence in Utero, at Birth, and after Delivery ................................. 17 3. Physiopathology of Asphyxia and Its Staging .................................. 21 4. Work-up and Treatment in the Newborn: Delivery Room, Nursery, and Perinatal leU 25 5. Mechanical Ventilators .................... 31 6. Prognosis ................................ 37 7. Brain Asphyxia and Hemorrhage ., ........ 51 8. Types and Stages of Fetal Anoxia: Anoxic, Anemic, Stagnant, and Histotoxic ......... 57 9. Embryonic and Fetal Periods .............. 65 10. The Placenta: Origin and Functions ........ 77 9 CONTENTS 10 11. Fetal Circulation 87 12. Placental Insufficiency or Dysfunction ..... .